Hey everyone! I have a review today of a product called Moringa Oil. Moringa Oil comes from the seeds of the Moringa Oleifera Tree. Moringa Oil is well known in the beauty and skin care industry for the many benefits that it offers. The oil is a great moisturizer for the skin and also works as a disinfectant. The oil can also be used to treat acne and improve the overall condition of your skin, getting rid of blackheads and improving the look of scars. It also works great as an anti-inflammatory so is great for massaging swollen ankles and knees. 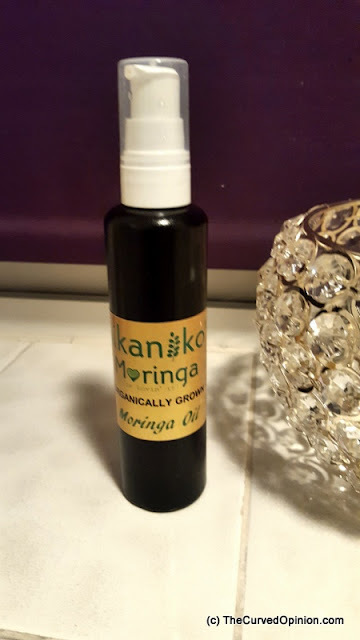 I have been trying out the oil for two weeks now, using primarily on my face (although I have lent it to my mother on a few occasions also to massage her knees which suffer from arthritis). In my mum's case, the oil helped with the swelling that she sometimes experiences and she said that oil sunk well into her skin without becoming greasy. I decided to incorporate the oil into my daily skincare routine to see what differences it made. I used my normal moisturizer in the morning (Clinique Dramatically Different Moisturizing Gel) and then in the evening when I had taken my make up off, I applied a small amount of the oil to my face before I went to bed. I have to say, I have been very impressed. 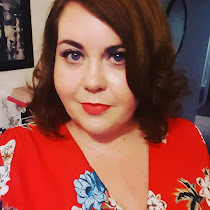 You need a minimal amount and once the product has been applied and massaged in which takes only seconds, your skin has a lovely feel to it and is not greasy as I would have expected. I have combination skin which can be dry as a bone in places when I first wake up in the morning to then later in the day the same areas of skin turn greasy. I cannot win! In addition, at my ripe old age of 38, the area around my eyes is usually puffy in the morning, creating wrinkles which (as yet haha) disappear after an hour. I noticed the difference after the second day of application. The puffiness was reduced, the patchy dryness which previously would mess with my foundation was gone. It also seems to be helping to heal the burn scar I have on my face from being a little too over excited with my hair straightners. *This product was gifted to me but all opinions are my own.